In another round of what kind of lunch can we make with our leftovers, we have decided that wraps are a necessity for leftover meats. We made this Korean beef recipe for dinner a few nights ago and didn't really have enough left for another meal. However, we did have enough for wrap sandwiches for the kids! This particular lunch is Ben's as he prefers berries, compared to his sister. 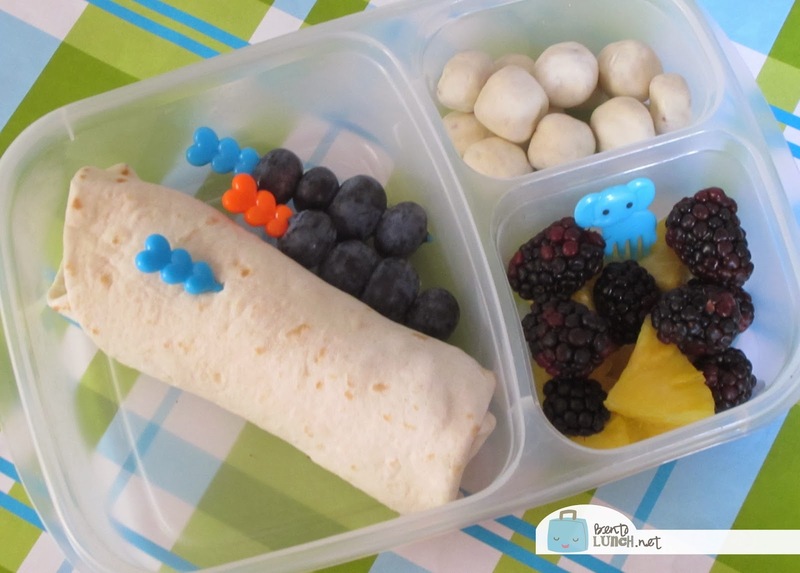 He took a Korean beef wrap, some yogurt covered granola bites, blackberries, pineapples, and skewered blueberries. I also tucked in a yogurt tube, cheese stick, and a granola bar to make sure he had enough snacks to get through the day. Lunch is packed in our Easy Lunchboxes, to leave plenty of room for extras in the cooler.